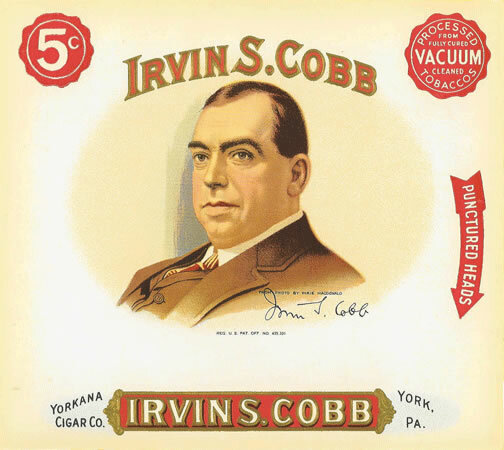 Irvin Shrewsbury Cobb born in Padukah KY on June 23, 1876 and died in New York City on March 11, 1944 was an author, humorist, played in movies and columnist. He wrote over sixty books and three hundred short stories. He ws an avid cigar smoker, always had a cigar in his mouth. He covered the First World War for Saturday Evening Post.